Despite what people may have heard about cloud backup providers, they are not all one-size-fits-all. The services offered by some of the most common cloud companies are actually quite diverse. It is true that each company stores data remotely on the cloud, but that is typically where the major similarities end. There are two main plans when choosing a cloud based backup service: 1) group and 2) per-computer. Group plans are much like friends and family data sharing plans provided by cell phone carriers. All computers in the network can take advantage of a chunk of storage space for one flat fee. It costs additional money to add more computers or more storage. For many businesses, this type of plan is ideal. Some computers in a network may use more data than others and it would be a waste to pay for each computer individually. Per-computer plans are just the opposite of group plans. Each computer that is protected has a set amount of storage space on the cloud. Prices are determined in a similar way as group plans, but with more flexibility when adding extra computers. This type of plan is great for companies with many devices that each need a large amount of storage space. Typically, cloud backup does not facilitate file sharing between individual computers even if they are on the same network. However, more people are realizing the benefits to such a system and want their remote backup service to help out in this regard. An initial backup can take days or even weeks to complete depending on how large are the systems that are being stored. For people who do not want to wait that long to recover lost data after a catastrophe, they should choose a provider that offers a hard copy of saved data for a faster upload. Excellent customer service is essential to a positive experience in the remote backup industry, especially if the backup up process is largely managed by the client. Getting help through each step of the way makes the process smoother. The world is going mobile, and some remote storage options allow their users to perform backup tasks with their cellular devices. This makes creating a backup easier for those accustomed to mobile apps. Although price is not necessarily a feature, the cost of remote storage is a large aspect of choosing a cloud storage provider. Some providers offer discounts only to customers who sign a longer contract, while others companies have low rates all the time. A popular option that customers love is a free, no-risk trail period. This is a great way to test out the cloud technology and see if a specific provider is the right fit. At KineticD, we hope to provide just what our customers require and are constantly working to improve our services. To ask questions or to learn more about what services we offer, give us as call at 1.866.430.2406 or email us at sales@kineticd.com. Almost anyone who does any kind of computing, whether it’s at a desktop or on a mobile device, has heard about the “cloud.” However, how many people really know what that means? If you’ve ever asked yourself: “what exactly is this cloud everyone is talking about?” don’t worry you’re probably not alone. The first thing you should know is that an umbrella is not required for this cloud. In a nutshell cloud computing is storing, managing and processing your computer data, such as files, documents, photos and videos, on a remote network server which is hosted on the Internet, like what we do at KineticD. When you store your information on a cloud you don’t have to store it on your personal computer or a local server. You simply save your data to the so-called cloud over the Internet and then access it the same way whenever you’re ready. So now that you have a better idea of what the cloud is, let’s take a look at some of other relevant “buzzwords” that are commonly mentioned in regards to cloud backup. Caching – keeping high priority requests for a certain time to help in performance. Proxy – there are several proxies, including transparent and reverse proxies, which are used as the “gateway” for execution in a system designed to use caching. Vertical Scaling – growing or increasing a cloud system typically done by adding more capacity or memory space. Geo Fencing – limiting or restricting access to or from a DNS server by placing a virtual fence around it determined by location. Often used for mobile devices. Enterprise-Grade – specifies a cloud service’s ability and capacity to store and secure data at a high level. In other words, whether or not it can meet the needs of an entire enterprise. Hybrid Cloud – these are popular because they allow a company to get the best of both worlds: local and external storage resources. A hybrid cloud allows a company to save some data here and other data there. SOA – Service-Oriented Architecture supports regular communication between different services. Remote Access – being bale to work from a given computer or network while in another location. High Availability – a method to make sure performance is met for the agreed upon time period. A provider determines the “availability” level to a system according to what their system is capable of handling. EAI – this refers to data migration or in other words integrating or merging data from separate applications together. Scalability – a host’s ability to resize its server according to a client’s needs and timetable. Multi-Tenancy – even though many different clients’ information is being stored on the same servers, it’s still safe and secure and separate from one other. Self-Healing Hardware – this means the hardware can detect when something isn’t operating properly and do what it takes to make corrections to fix the problem without help or prompting. Cloud computing is a growing trend in computer data and information storage, which figures to only increase. Don’t worry, though, if you still don’t feel like an expert. KineticD is here to help and we can take care of all of your cloud backup and storage needs. We offer easy, affordable and safe storage for anyone looking to secure his or her vital computer information. 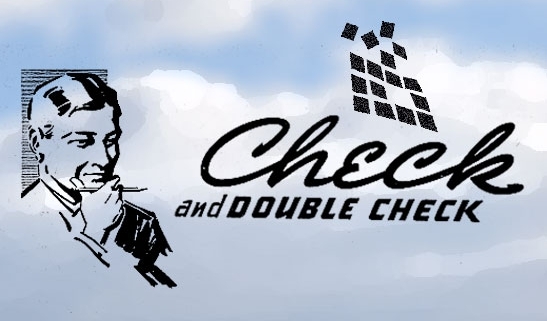 In fact, with our service you might even say you feel like you’re on “cloud 9”. https://datadepositbox.com/wp-content/uploads/2014/03/blog-what-is-cloud.jpg 335 547 datdepbox https://datadepositbox.com/wp-content/uploads/2018/08/datadepositbox-logo.png datdepbox2014-03-18 09:00:222014-03-18 09:00:22Do You Need an Umbrella for Your Cloud? Does Your Cloud Backup Provider Have Real Staying Power? Are you satisfied with your cloud backup provider or does it have you feeling a little gray about your storage forecast? There’s no question that backing up your vital computer data to a cloud service is a wise thing to do, but you also have to make sure you choose the right provider. In other words you want a cloud with staying power and not one that will evaporate into thin air when things get a little hot, so-to-speak. Changing providers isn’t easy, so make sure to get it right the first time. 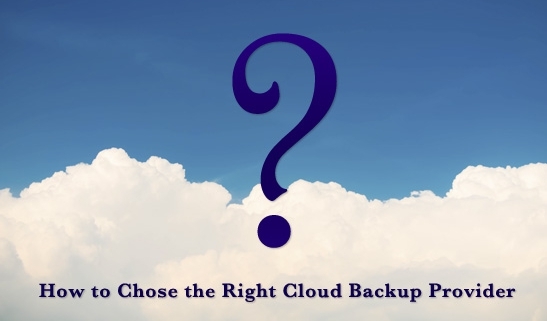 When choosing a cloud backup service provider you should ask several important questions and make sure the company you choose has the right answers. At KineticD we have the right answers to these and other important cloud storage questions. Services – you should know exactly which services your cloud storage company provides, because this will determine what level of storage and backup you need and will have access to. At KineticD we offer a wide range of options from large to small to fit your specific needs. Price – of course, price is always a factor with any cloud service. At KineticD we offer our service for as low as 50 cents per GB per month and only for what you use. Our no-contract flexible rates help you save money. Security – when choosing a cloud provider you have to know it’s level of security and that security has to meet your needs. Our security measures include secure bank grade encryption, individual data security, unmatched password security, secure protocol and firewalls, just to name a few. Setup – what is the setup process like and how difficult is it to begin? At KineticD we make the setup process easy and we help you through the entire process. Location – where are you located, how safe is my information and where will it be stored? You want the servers that are storing your data to be in a secure location and not in some guy’s spare bedroom where anything can happen. At KineticD we have our servers safely guarded under lock and key. If data is lost, then what? – although extremely unlikely, you should know your cloud provider’s protocol in the event data is lost, hacked or accidentally deleted. We have a written contingency plan in case of emergencies or accidental loss, including a specific plan for recovery. Cloud scalability – you need to choose a cloud backup provider that can grow with you. KineticD can either increase or decrease your storage needs, as you need it. In other words, we can scale our service to match your needs whenever necessary. Access – does your cloud provider offer you sufficient access to your information? At KineticD we make sure you have access whenever and wherever you need it without fail. Now is the time to make a choice. Unlike some other service providers, KineticD has been providing secure and reliable cloud backup storage for a decade and we don’t plan on going away. 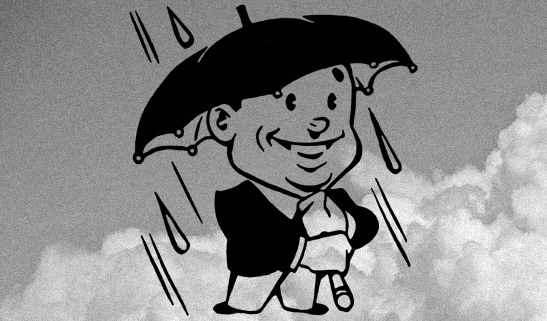 Our proverbial cloud will be in the sky for years to come, which means you can rely on us to safely store all of your vital computer data from loss, theft or other harm. Stick with KineticD and have access to your vital information whenever and wherever you need it. https://datadepositbox.com/wp-content/uploads/2014/03/blog-staying-power.jpg 335 547 datdepbox https://datadepositbox.com/wp-content/uploads/2018/08/datadepositbox-logo.png datdepbox2014-03-04 09:00:042014-03-04 09:00:04Does Your Cloud Backup Provider Have Real Staying Power?